In all of your travels across the world (or the ones you’ve wanted to have), there are some experiences you’ve probably never even heard of. 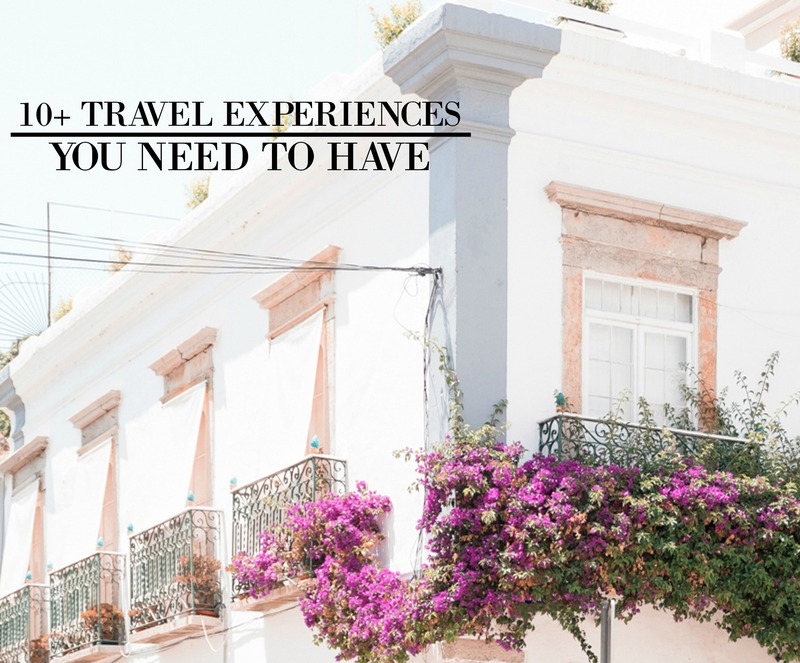 And if you have been to these places without doing these things, then I guess someone will be catching a flight after reading through this list of experiences! Soak up the beauty of thousands of floating lanterns. It takes place on the evening of the 12th month in the Thai lunar calendar every year. The grand Hindu temple is amazing to see; it looks and feels like the gateway to the gods and heaven. A must add to any traveler’s checklist. Make memories by taking a long walk with a lover down this amazing natural phenomenon. It is believed that wishes of true lovers come true after a visit. A thrilling experience of a beautiful dinner and a perfect view! You can get this at the Ithaa restaurant in Maldives. A worthy addition to a tourist’s checklist, Brazilian carnivals are held 40 days before Easter and are popularly regarded as the biggest party. Take an exotic trip to the island of Bora Bora, and experience its unmatched sunsets, private pools, beachfronts, and overwater bungalows..
Riads are traditional Moroccan inns and are seriously beautiful and serene. I would highly suggest staying in the Riad Yasmine in Marrakech. Also called Aurora borealis, you can check these amazing lights out in countries like Iceland, Norway, and Sweden. Santorini is a beautiful and captivating island built on the rim of an ancient volcano. It is seriously a spectacular location to enjoy a lovely sunset particularly in Oia, Skaros rock, and on a sunset cruise. It’s no exaggeration; the sunsets in Santorini are the best! The capital of Taiwan, Taipei, is swimming in nightmarkets in almost every neighborhood. Lighting up the streets, you’ll be lured in by the amazing aromas. Just make sure you don’t stuff yourself sick! Also, about a 45-minute drive from Taipei is Jiufen, which is a small mountain town that feels like rural Japan—definitely worth a visit too! So next time you think of a holiday location or an exotic trip, feel free to visit one or multiple of the above ideas!